Because the US government lies and journalists often accord those lies respect, because this country has more official secrets than it can keep track of, we live in a country where the term “secret war” is neither an impossibility nor an oxymoron. Gary Webb showing his article on the drug fall out of supplying the Nicaraguan Contras. 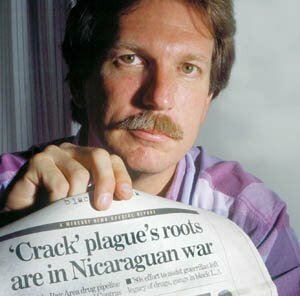 In 1996, Gary Webb, a journalist with the San José Mercury News, broke a story of the interconnections between one secret American war, the funding and arming of the right-wing Contra rebels in Nicaragua, and the spiraling traffic in crack cocaine to the United States in the 1980s. Webb’s exposé broke new ground for newspaper-online collaboration and cast the contradictory politics of the US-backed drug wars at home and abroad into sharp, public relief. On the basis of this evidence, it is clear that individuals who provided support for the Contras were involved in drug trafficking, the supply network of the Contras was used by drug trafficking organizations, and elements of the Contras themselves knowingly received financial and material assistance from drug traffickers. In each case, one or another agency of the U.S. government had information regarding the involvement either while it was occurring, or immediately thereafter. On a “usual” morning . . . at 7 o’clock and AD-6 plane prowls overhead. It circles for about ten minutes, then leaves. At 7:30 the plane returns, makes a pass and drops three loads several kilometers from the “hotel.” At 8 o’clock there is a flight of jets. At 8:30, new jets and bombs. The same operation at 9 o’clock. One of the officials of the Sam Neua district told us that during the first three years of bombing alone, sixty-five villages were destroyed. This is a figure impossible to verify for a short report, but it is a fact that between Sam Neua and a place about thirty kilometers away, not a single house in the villages and hamlets had been spared. Bridges have been destroyed, and fields riddled with bomb craters. At the other end of Sam Neua the sight is even more painful. Enormous craters are everywhere. Churches and many houses are demolished. In order to be sure of hitting anyone who might be living there, the Americans dropped their all-too-familiar fragmentation bombs. Here by the side of the road lies a disembowelled “mother bomb.” All around for tens of meters, the earth is covered with unexploded “daughter bombs” containing hundreds of steel pellets, little weapons that the Vietnamese know so well. One of them had rolled into a shelter, under a mat, mortally wounding three people who had taken refuge there. SINCE the bombing of Laos began some five years ago, F-4 Phantom and F105 Thunderchief fighter bombers which carry 10,000 to 15,000 pounds of bombs, and B-52s which carry four to six times that bomb load, have made daily runs. This past year they are reported to have flown over 20,000 sorties a month. This is over Sam Neua and the Plain of Jars area alone, which does not include the saturation bombing of the Ho Chi Minh trail in Southern Laos. The result, as U. S. Ambassador to Laos G. McMurtire Godley testified before the Senate Foreign Relations Committee, is that almost one third of Laos’ population of three million has been made into homeless refugees. Retaliating, the US Embassy pressured Laos to expel Branfman from the country in 1971. Writing in the New York Times soon after, he reported on thousands of interviews, “Each, without exception, said that his village had been totally leveled by bombing. 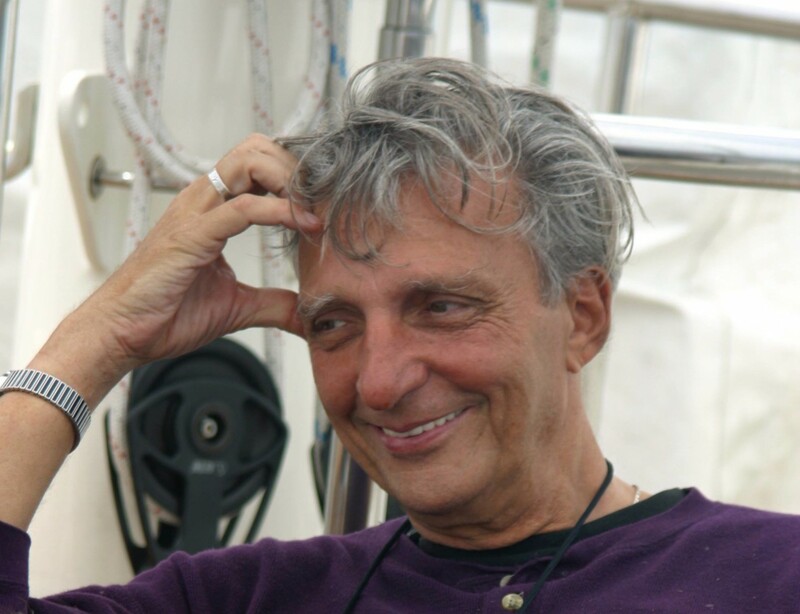 Each, without exception, said that he had spent months or even years on end hiding in holes or trenches dug into foothills.” Branfman died of natural causes this week, at age 72. Of course, no war is secret to its victims. And few targets of a war can fail to imagine who is behind them. But in a country like ours, we need people to work diligently to end the secrecy that surrounds wars. To even make the possibility of democratic decision, public reparations, and even honest history, thinkable.